The tagline on COOP Home Goods’ website is “Make Your Mornings Amazing.” Scroll down one fold, and you’ll read that we’re experiencing a “pillow problem,” and COOP is here to solve it. I watched the 1:50 minute video to hear their perspective on why one size does not fit all when it comes to our pillows, and how their customized pillow designs are engineered to align your body correctly for restful and deep sleep. In the video, their Co-Founder explains the company went through four years of R&D (research and design) and incorporated over 13,000 customer reviews before cracking this code: the perfect pillow needs to be adjustable, breathable, and washable. 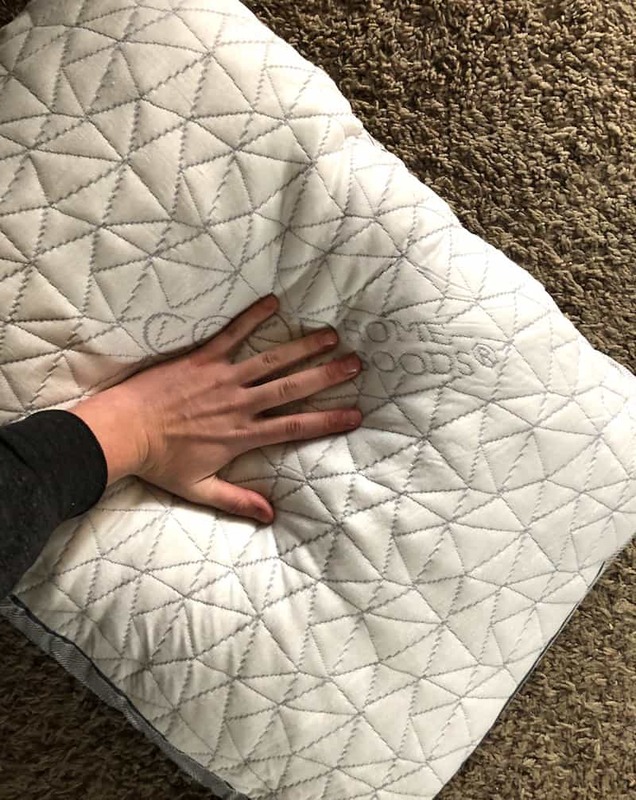 I tested out the COOP Home Goods Eden pillow—which uses special gel-infused, shredded memory foam with special blend of premium combed microfiber—to see if they truly concocted the perfect pillow. Does the COOP provide personalized sleep, while keeping me cool and night and making it easy to keep clean? Continue reading my review to find out. Luxurious and super soft to the touch, the Eden pillow could be especially good for stomach sleepers. In a hurry? Click here to jump to the summary. 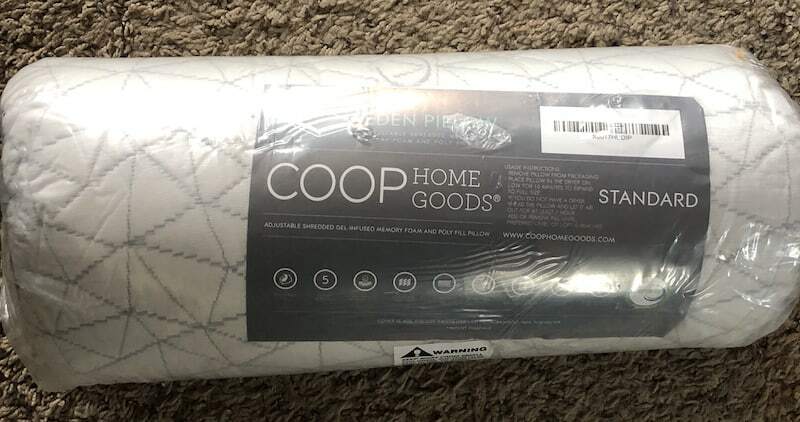 The Eden pillow is the softest and most luxurious pillow on the COOP product line—and I have to agree with the soft aspect. At first touch, I was amazed by how soft and smooth it was. The cover fabric is made with their signature Lulltra™ fabric that is designed to be super breathable. There is also a gusseted cover for greater edge support. The Eden is also known for being breathable, aka a “cooling pillow,” ensuring you don’t wake up in the middle of the night due to overheating. The case is hypoallergenic and machine washable, too. Now, onto the fill. This pillow is filled with a cooling gel memory foam and microfiber fill that you can remove to adjust firmness. It’s USA-made, CertiPUR-US certified, and shredded, meaning it’s extra breathable and adjustable. You can take out the foam filling and shape it yourself. A product video explains this pillow is about a 3/10 on the firmness scale, meaning it’s pretty soft. Yet, the gusseted cover and down-like memory foam is supposed to provide enough support for any sleeper. As someone who typically likes a lot of support, I was curious how this pillow would work for me. 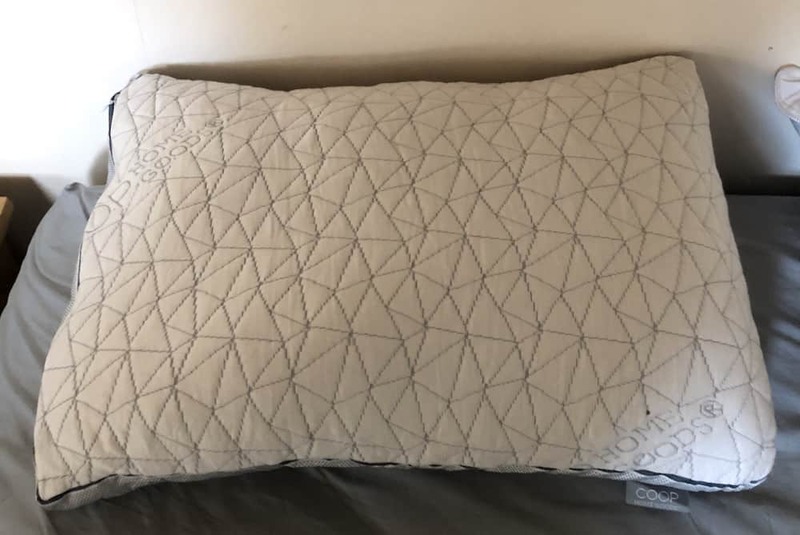 The price of this pillow is mid-range—it’s $69.99 for a standard size, but goes up to a King sized version for 89.99 (on their website, you’ll see a pop-up that says invites you to join their free VIP Club to get 5% off your first order). They even provide a free pillow customization from a pillow specialist if you ask for it. The COOP Eden pillow comes in a vacuum sealed package. Inside is the pillow itself, along with a few pieces of reading material. When I first took the pillow out, I was curious how the vacuum seal would affect the plumpness of the pillow. 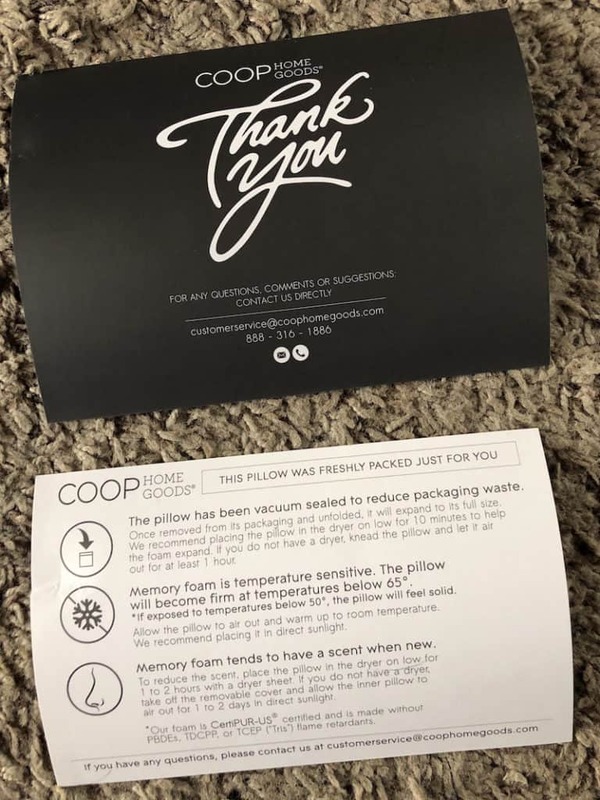 My question was answered when I read one of the cards that came with the pillow; COOP vacuum seals their products to reduce packaging waste, and they recommend placing the pillow in a dryer on low for 10 minutes to help the foam expand. I don’t have a dryer on hand, but an alternative method they suggest is kneading the pillow and letting it air out for an hour. I did that and it plumped up fairly quickly, looking like it had been delivered in full-form! Another piece of information on the card is how the pillow might have a distinct scent—something that is pretty typical when it comes to memory foam. 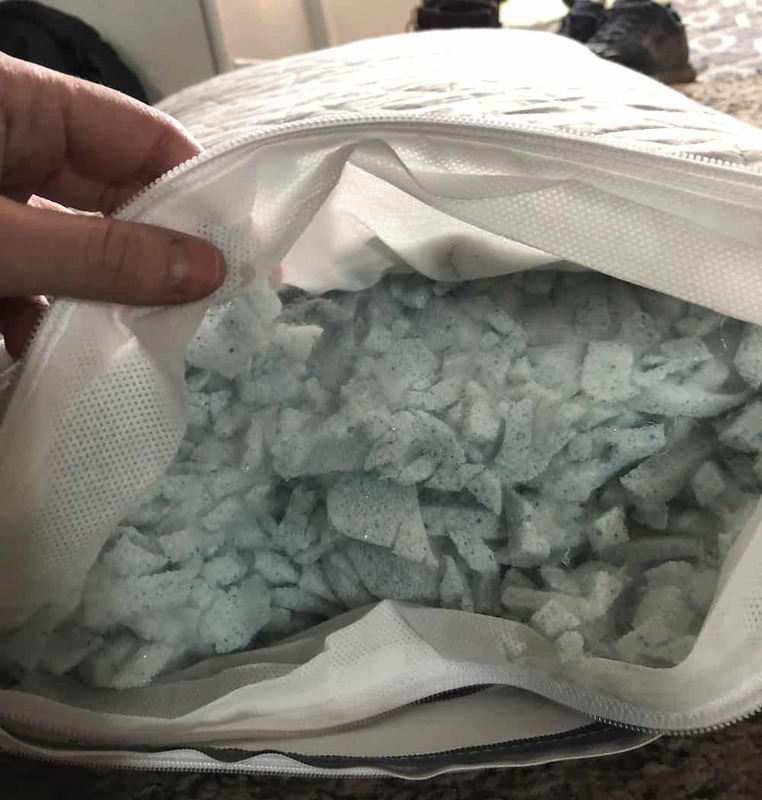 COOP was right; my pillow did have a less than pleasant chemical smell, which they say can be reduced if you put it in the dryer or air the inner pillow out in the sun. Again, I did the latter option, and the scent eventually faded. Still, it felt like I had to do a lot of prep just to make this pillow ready for sleep! However, some great news did come with this pillow—both the inner pillow and removable cover are machine washable. It’s really rare for the inner pillow to be able to go in a machine, so this was definitely a nice immediate perk to see. The pillow comes with detailed instructions on how to properly wash it. Moving on to the cover. Ah. It was so, so soft. COOP’s signature Lulltra™ fabric is definitely a wonderful perk. After feeling the cover, I played around with opening the outer and inner zippers, and eventually found myself playing with the shredded foam itself. It was really cool to actually see the innards of the pillow; it made me appreciate what I was sleeping on. Because you can access the filling, this means you can add or remove foam to adjust it to your liking. It took me no time to notice that this pillow is definitely on the soft side. 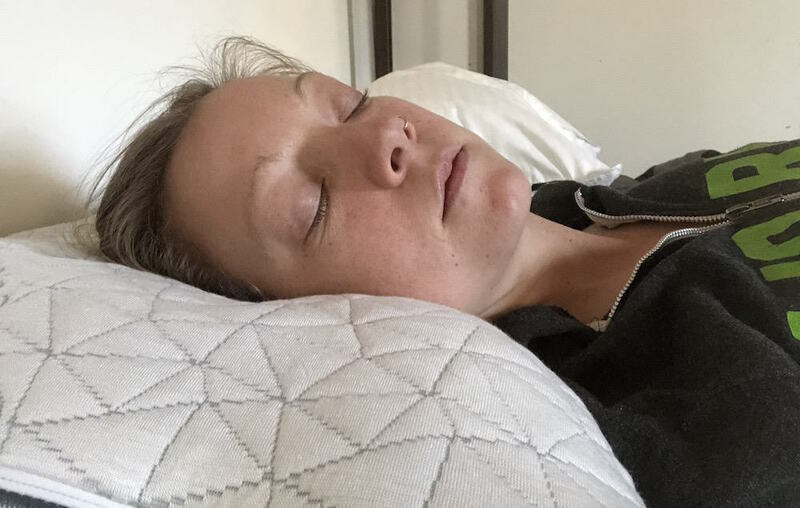 Being someone who likes firm pillows, I wasn’t sure how my body would take to it. Knowing I can add foam helped, but I would need to purchase extra foam separately on COOP’s site. When I slept on it for my first night, it definitely took a few tosses and turns to feel like my body was well supported. 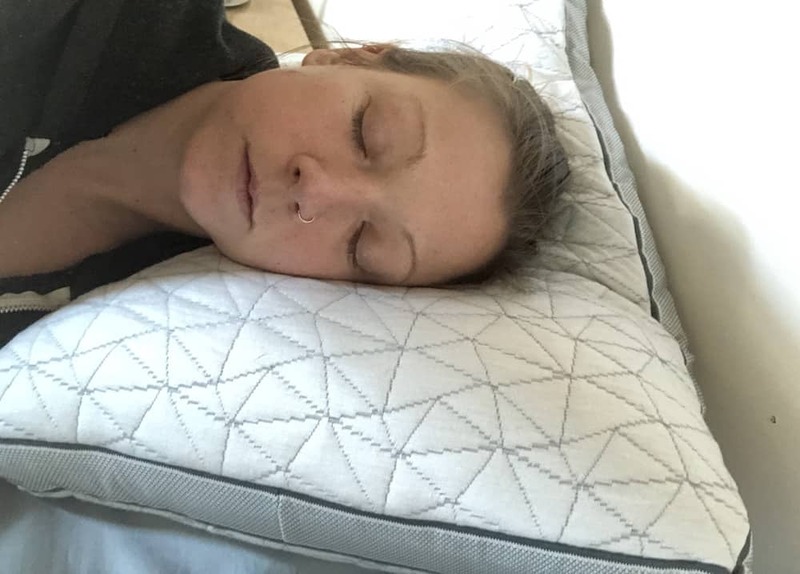 But given this is a pretty soft pillow, I was happily surprised at how it still was able to cradle my head and neck; the memory foam did a good job at shaping to the contours of my body, even with it being on the softer side. The gusset also helped give my neck extra support, which really made a difference and helped lift my head up a few degrees. However, I found that once I fell asleep, I was tossing and turning a lot in the night. I realized this pillow might just be too soft for me. I tried propping another pillow underneath it which helped a lot, but I want to be able to sleep sufficiently with just one pillow. I was testing out the Standard size, so would probably benefit from moving to a Queen size, along with purchasing additional foam to give it some extra bulk. Overall, I wish this pillow was just a hair higher to support a side sleeper like myself, and think buying a bigger one, or using extra foam, might help this strike the perfect balance of softness and support. If you have neck issues when waking up, sleeping on this pillow might help. i would wake up every morning with a stiff neck and since using the eden pillow my neck is much better. no stiffness or soreness. You sleep on your stomach – Stomach sleepers typically enjoy softer pillows with less support. If you are someone who sleeps on their belly, this pillow will hands-down be a great choice! You get hot at night – COOP does an excellent job at designing pillows to keep you cool at night. Not once did I feel overheated, nor did I need to flip the pillow over to lay on a cooler side. You appreciate smart design – It’s no surprise COOP puts time and effort into designing a great product. 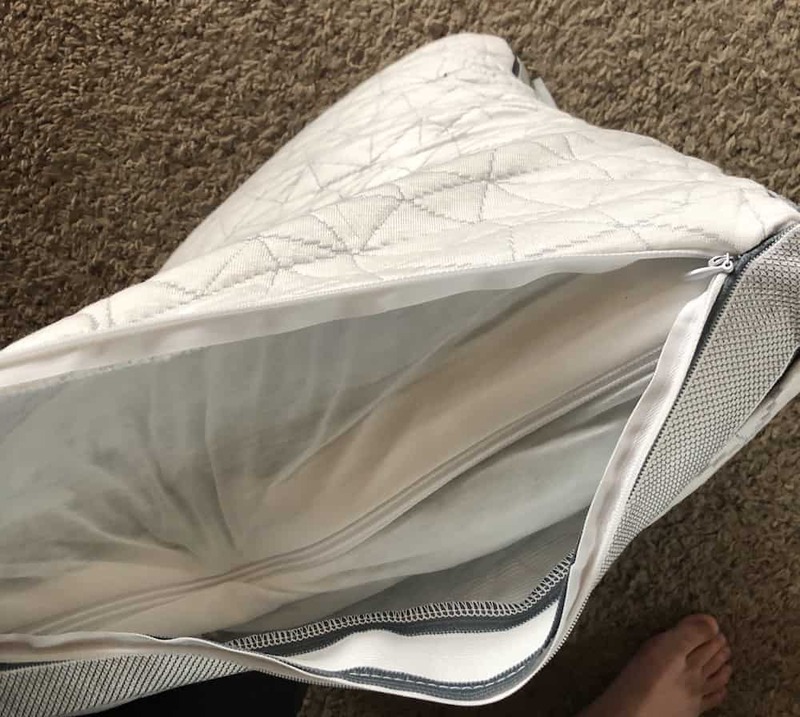 The craft of the cover, the inner lining, and the shredded foam itself, along with the amount of R&D they put into the pillow before going to market, shows they care about designing well for their customer. Like the Eden pillow? Grab it on Amazon!